Our CPA firm is designed to provide creative, all-inclusive, effective solutions for all of your business and personal finance needs. Let Business & Financial Solutions be your go-to tax advisor. Whether it is for an individual tax return or tax preparation for businesses. Our expert staff has you covered. The driving force of our firm is creating solutions for your company. Click on the left for more details on each of our tax help services. Office locations in Vienna VA, Frederick & Rockville, MD. Congratulations on making the choice to turn your passion into a reality! You have taken the first step to your business startup. Turning your dream into a sustainable business is no small task. Are you ready for the challenge? Business and Financial Solutions is here to make sure that you have everything you need for success. We are one of the companies that help startups in the Maryland Virginia area. Whether you’re a first-time business owner or a veteran entrepreneur, you’re about to begin a major process. And it will take commitment. It will also require painstaking attention to detail. We take the frustration out of business setup and expedite the process. There are benefits of operating a company based on sound counsel from skilled, professional and experienced tax accountants. And those benefits cannot be overstated. However, there are also benefits to rooting that company with the same attention. Careful consideration should be given to the precise and unique needs of each business, But these are often overlooked. 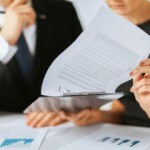 Our team of highly skilled consultants creates customized business plans. They are tailored to your specifications, adding substantial accounting expertise every step of the way. All startup businesses should have a solid business plan. And so should ongoing concerns. Each business plan should also include carefully crafted sections on company finances. This plan is essentially a roadmap for the company’s success. It shows how much is needed in startup funds. And from where the funds are expected to come. The plan offers a summary of the company’s mission, activities, and goals. It also includes projected income, cost of goods and expenses. The plan also includes balance sheet items such as asset purchases and depreciation, liabilities, and cash flow. A well-crafted plan is arguably one that has these facets and can be relied upon as a compass for your company’s future. The ability to provide guidance is undoubtedly the most important test of a good business plan. There are other reasons for creating a business plan. But these are some that should also be considered and outlined with the consultant prior to the writing of your plan. And they effectively help ensure that the document is comprehensive and fulfill all necessary functions. Financial tables should be considerate of financing and loan requirements. And they should address future asset purchases, and exit strategy personnel requirements. Advanced tax planning will ensure that you are getting the most out of your business. Though it’s never too late to benefit from a business plan, the benefits of crafting one early are paramount. We take the time and pride in learning about your business. And we incorporate all relevant specifics into the writing process. If you need help starting a small business plan contact us today. It is essential to understand the differences between the various corporate structures, And this should be done before deciding how to incorporate and organize your company charter. The structure of a company determines the way that it is taxed. It also determines the extent of its owner(s) liability. And thus, the way that it conducts business. BFS can offer suggestions as well as prepare documents for the business entity which best suits your company. We can create your Articles of Incorporation or Articles of Organization. And we can file them with the appropriate with the appropriate agencies. If necessary, we can even provide hand-delivered, expedited service for Washington DC and Maryland charters. Our Firm proudly charters companies throughout all 50 states and the District of Columbia. After getting the company chartered, there are other loose ends which must be tied down to formalize the company. We can assist with obtaining the EIN for various taxing entities. Further, we set up unemployment account numbers, sales and use tax numbers. And we conduct the initial corporate or organizational meeting. And we’ve been honored to serve as the resident agent for many of the Maryland-based companies. Lastly, we have assisted with chartering and continue to provide bookkeeping, management, and tax services. So those are just a few ways that we provide dedicated, ongoing support for our valued clients. While one is absolute, the other doesn’t have to be. Many deductions exist for individuals and businesses. Are you taking advantage of all of them? Clients all across the country are discovering that they can optimize their tax situation by working with Business & Financial Solutions, regardless of their geographic location. Business & Financial Solutions’ tax accountants are experienced individual and business tax preparers and negotiators who legally and ethically employ their knowledge of tax law. And we have a database of resources to maximize your tax deductions and lower your tax debt. Our team meticulously prepares for the inevitable changes in tax law that come with each new tax season. And we are ready and willing to work with you to get each tax deduction for which you are eligible. We answer any questions that you may have. And we gladly take the time to help you understand your deductions. So now you can move forward with purpose in the new year. Our firm provides tax reduction planning and preparation for individuals, estates, non-profit organizations. We also prepare tax returns for any small business or corporation. Tax reduction planning is something that can be done throughout the year. If you walk into a tax preparer’s office in February or March for tax services, it’s usually too late. Because not a lot tax planning can be done at that point. So planning has a lot to do with saving on tax liabilities. BFS can help you determine when to take profits and losses. And in some cases we help businesses shift income and deductions to the appropriate tax year. Also we help you decide on Roth IRA conversions to help you maximize retirement plan benefits. Thereby reducing tax ability of social security income. Business & Financial Solutions offers responsive accounting. And we render financial and and tax services on a national level. Or approach has a unique entrepreneurial focus, providing clients with smart, analytical insights, often overlooked. Our team of professionals builds strong client relationships. All based on open communication with each client. And we believe that the trust clients put in our firm is paramount. Our accounting firm works with enterprises as diverse as sophisticated financial institutions and start-ups. Yet public companies look to us as well. Our clients include high net worth individuals, high profile professionals, family offices, not-for-profit organizations, and entrepreneurial ventures across a variety of industries. Services range from preparation of income tax returns, to resolutions to past tax debts and tax and audit representation. Contact one of our accountants, consultants, or tax preparers to maximize your returns. And ensure precision and accuracy in your tax turns. Our enrolled agents can negotiate favorable resolutions for most back tax debts or other tax issues. Business & Financial Solutions has been working with businesses just like yours for over nearly two decades. 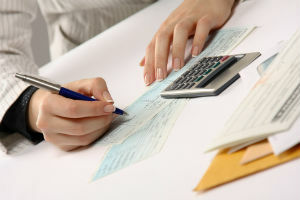 We have a full range of accounting services in Washington DC, Maryland and Virginia. And our services are available to fit your individual or business needs. BFS Accounting Services offer outstanding accounting, regulatory compliance and financial management services. Our clients are throughout Maryland, Northern Virginia, the Washington, DC Metro Area. We also serve the Greater Baltimore Metro Area and surrounding communities. BFS is committed to helping our clients achieve their financial goals. Our accountants can work in virtual environments. And if your company lacks the ability to setup virtual systems, it’s not a problem. Because we setup virtual systems for virtual bookkeepers and accountants, we offer that service as well. You business should have bookkeeping expertise, But it does not have to have the expense of a full-time bookkeeper. BFS is your solution. Because our bookkeepers and accountants are on call on as needed. And we help you, as a business owner, to focus your attention on your work skills. Business & Financial Solutions is reliable and delivers on time. We provide professional bookkeepers and accountants. And we help the business owner maintain accurate records. Further, we help keep an accurate status your financial stability. We offer all levels of services. And the prices are affordable. BFS bookkeepers communicate with the business owner. So the business owner is never left in the dark. 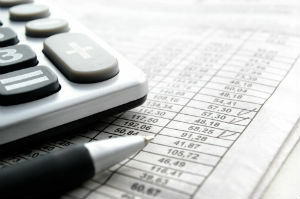 The filing of a “Final Accounting” includes an Accounting which must follow the Court’s format. You must provide receipts and releases from all beneficiaries; information regarding the payment and satisfaction of all estate and inheritance (i.e., “death”) taxes; fiduciary taxes (i.e., “income taxes” of the estate), and creditors; and you must an Affidavit by the Executor. It should show that he/she has fully and completely satisfied his duties as Executor. Further, you must file a status report. The report should show all the information required by the court. Remember that if anything is left undone or incomplete, the executor will be held personally responsible. Avoid costly errors, shortfalls, or mistakes. So hire a professional from the start. Lastly it is the Orphans’ Court duty to monitor these things. Business & Financial Solutions helps you prevent the shortfalls. And we help through accurate and efficient accountancy. You can count of BFS to deliver results on-time. It’s not a perfect world. So you’ve made a few mistakes along the way. And yes, tax debt can be unsettling and overwhelming. And settling yours can seem like one hoop after another. So let us help you to get back on track with our specialized tax services. BFS enrolled agents have negotiated favorable outcomes to tax debts for hundreds of clients. Unlike many firms, we insist on completion of an assessment of your tax debt and the circumstances surrounding it before accepting payment. Also, we prefer that our clients understand the process. And further, we are looking for a solution tailored to you situation. Whether negotiating manageable payments or Offer In Compromise for settlement of the debt, we get results. The IRS will accept an Offer in Compromise when it is unlikely that the taxpayer’s liability can be collected in full. And the amount of the IRS Offer in Compromise (OIC) must reasonably reflects collection potential. The OIC is a legitimate alternative to declaring cases as currently not collectible. And negotiations of tax settlement or installment agreements may be viable tax solutions. The goal is to achieve collection of what is potentially collectible at the earliest possible time. And it must be at the least cost to the government. As much as we hate to use the term “tax settlement”, in layman’s terms it is the most comprehensive. But the term used by the IRS is Offer In Compromise, or OIC. This relief method is not for every taxpayer. Though the settlement amount may be much less than the original debt, it may not be practical. The Offer In Compromise prepared for the taxpayer. And representation of the client should be by a tax professionals. However it can be quite costly. Be encouraged and assured that tax solutions exist for nearly 100% of tax debts. Because Our solutions to tax debt are designed around each client’s particular circumstances in order to get the most favorable results for that client. Business & Financial Solutions provides strong leadership and guidance. And our firm offers collective experience that will successfully launch a new business. Or we can help improve the operations of an existing one. And we help grow your business. BFS brings backgrounds in institutional and venture relationships. 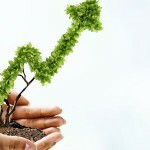 We also provide business consulting and non-profit business development. Additionally, we work with large and small companies in industries such as manufacturing. They also include services to engineering and software development industries. Further, we help with implementation of policies and procedures, as well as business planning. Our clients are comprised of small to mid-size companies and firms. Maintaining or increasing the profitability is what we do. And we know that there are challenges proposed to businesses in today’s hard-hit economy. And there are many challenges ahead for some. Consumer confidence in the United States withered to 47.7 % in October. That’s down from 53.4 % a month earlier. Business profitability will be challenged over the next couple of years. While many companies have drowned during the economic challenges of today, Business & Financial Solutions helps create solutions for those businesses it serves. Our offices are based in Frederick, MD, Rockville, MD, and Vienna, VA. And we offer services throughout Montgomery County, the Washington DC Metro Area. But we do not stop there. Because we also provide services throughout the continental United States. BFS consultants and accountants are experienced professionals. And we are dedicated to providing outstanding services to our clients. We are a leading Business Consulting firm. And BFS is one of the most capable and dedicated firms in Maryland and Virginia. We are well established as a management, accounting and tax firm. And small businesses and growing companies often rely on our services. Because they look to us to help fulfill their missions. Visit us in Vienna VA, Frederick or Rockville, Maryland. The integration of forensic accounting, auditing and investigative skills yields the specialty known as Forensic Accounting. “Forensic”, accounting means, belonging to, used in or suitable to courts of judicature or to public discussion and debate.” A CPA firm is not necessarily qualified for forensic accounting, solely on the title CPA firm. Forensic Accounting is a specialty field. Our Firm employs such specialists as yet another attribute to our comprehensive team. And our specialists will meticulously and tirelessly scour financial data to aid with dispute resolution. Forensic accounting encompasses both litigation support and investigative accounting. As forensic accountants, we utilize accounting, auditing and investigative skills when conducting an investigation. Equally critical is our ability to respond immediately and to provide expert testimony which articulates financial information clearly and concisely in a courtroom setting. Our forensic accounting specialists are trained to look beyond the numbers and deal with the business reality of the situation. Our forensic accountants offer experience in spotting weaknesses and inconsistencies indicative of intentional or unintentional misstatements in financial reporting information. We work with and evaluates accounting systems and their necessary internal controls. And we provide the expertise required to perform detailed audits. In addition to the professional accountants, our we have built and maintain a network of strategic partners. And they too provide professional services in specialized fields. Our expert forensic accountants look beyond the numbers to obtain an objective view of the surrounding financial situation as a whole. We uncover, analyze, and compile relevant data into a comprehensive report for presentation. Then provide your case with detailed and concrete financial evidence. Additionally, our team assists in any of the profit analysis needs your company may have. Our forensic accounting specialists focus intensely on getting to the bottom of any data analysis or fraud investigations. We are not a run-of-the-mill CPA firm. Business & Financial Solutions delivers results, on time. BFS provides non-profit hel in accounting and in preparing and filing the 501 (c) 3 applications for non-profit organizations. With offices in the Washington DC Metro Area, our services are rendered throughout the United States. Our accounting firm currently supports non-profit organizations in 18 states. States include the Washington DC Metropolitan Area, Georgia, Texas, California, Arkansas and the District of Columbia and more. And our services range from full service accounting for nonprofit organizations, to writing grant applications and proposals. Any organization, that wishes to be recognized by the federal government as a non-profit charitable organization, must complete the form 1023. The form is also referred to as the 501(c)3 application. And only then can funds donated to the organization become tax deductible to its donors. So the question is often raised how to setup a 501 (c) (3)? We have tried to simplify the answer to this question for many clients. Finally, we have concluded you let professionals do it. The 501c3 start-up application requires several supporting documents and forms to be setup. The process can be time consuming. And if not done properly, and in its proper order, the 501(c) 3 application can take longer than it should. It may also become more costly. A 501c3 start-up should consider its purpose and its mission before choosing its board members. Bylaws, conflicts of interests, conflicts in hiring have to be considered. Also you must take into account many other factors at the beginning of start-up phase. And at some point, it will also need to consider a business plan for the organization. Business & financial Solutions is experienced in processing 501 (c) 3 start-up applications. And we are knowledgeable in expediting the process. There are also provisions that are often overlooked in the Articles of Incorporation for the organization. These oversights may create problems during start-up if not handled properly at the onset. BFS simplifies the entire process. Call or email us. You can also visit us.